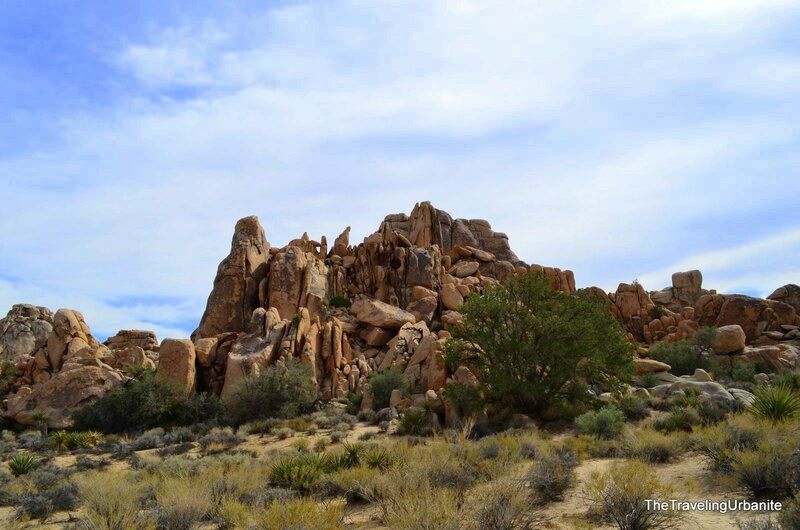 I recently spent a few wonderful hot desert days in Palm Springs (check out my post: Palm Springs – A Sunny Hiking Destination). Having been through what felt like a particularly long Canadian winter, summer heat sounded wonderful. 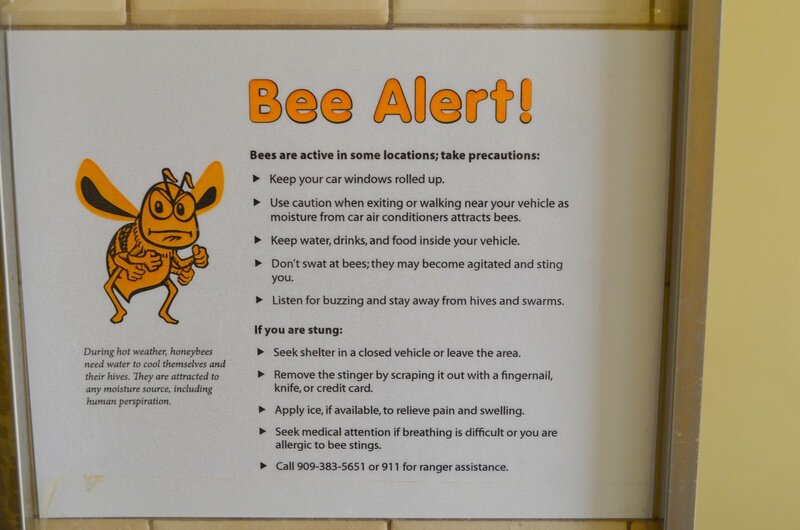 I also learnt a few lessons from my most recent travels (which included fleeing a swarm of bees by car) and gained some helpful local tips and advice. Desert travelers, take heed! Hydration: You will need at least one gallon (or just under 4 litres) of water per person per day while you’re in the desert, and that is if all you’re doing is driving around in your car. If you’re hiking or biking, bring at least 2 gallons or 8 litres per person. The mantra is don’t try to economize your water and if you’re thirsty, it’s already too late. Of course, I did get thirsty often, and it wasn’t too late, but you get the point. A good benchmark is that if you’re half way through your water, it’s time to turn back. Flash floods: Ranger Bill told us about the most recent flash flood in Palm Canyon. While rain is rare in the desert, the mountainous terrain can cause water levels to rise rapidly within minutes washing out humans and cars. From the remnants of the flood in Palm Canyon, the water would definitely have risen over our heads. Watch for signs locating danger zones and don’t park or hang out there! Sun protection: Be smart about sun protection! Long sleeves if you can bear it, hat and sunglasses with 100% UV protection (protect your eyes, you’ll need them for a long time), and sun screen with at least SPF 30. Reapply sun screen after swimming, or on hot days, after profuse sweating. If you can, avoid being in direct sun between 10 am and 2 pm. That is my professional opinion. Spending too much unprotected time under the sun leads to a higher risk of skin cancer later in life, but you knew that already, right?